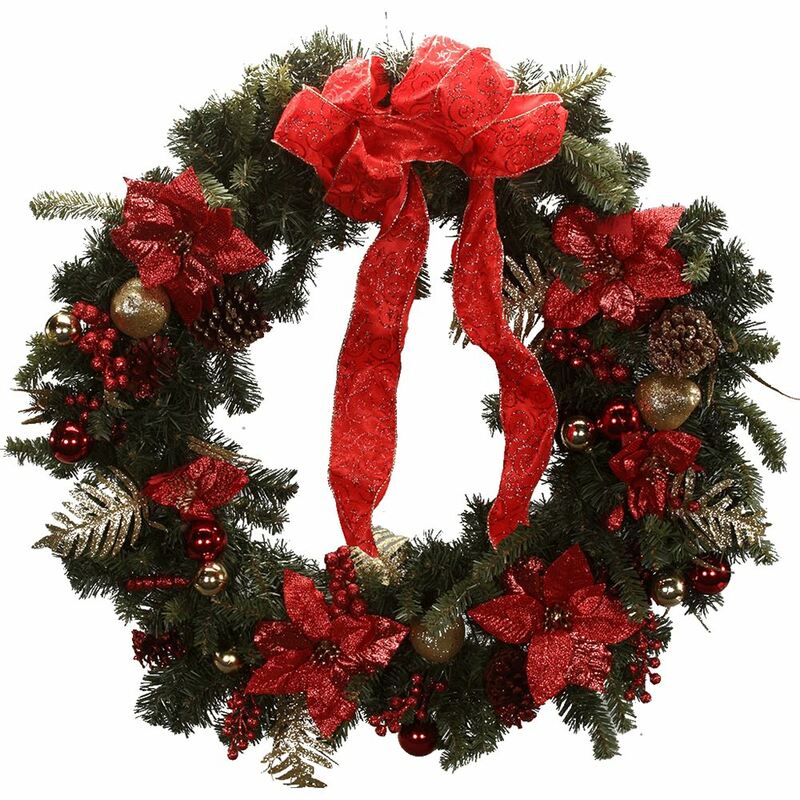 You won’t find a more traditional wreath than our 90cm Christmas Wreath. Add authentic Christmas style to your decorations with this easy to use wreath. 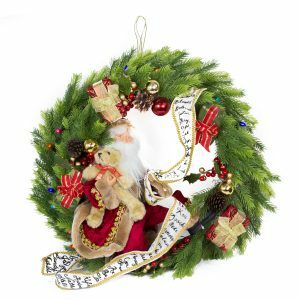 The red bows, berries silver ferns and pine cones that adorn this wreath echo the simpler pleasures of the season, and one can’t help but think of new-fallen snow and starry winter nights when they see this stunning decoration. This would be lovely on a mantle, front door or centrepiece for your Christmas table. Buy two and give one to a friend for a perfect Christmas gift they can use year after year.